Terrific card Pat. Love the vintage looks to the papers and embellishments. This is such a gorgeous card Pat. I love the image, beautiful colours and such fabulous detailing too. 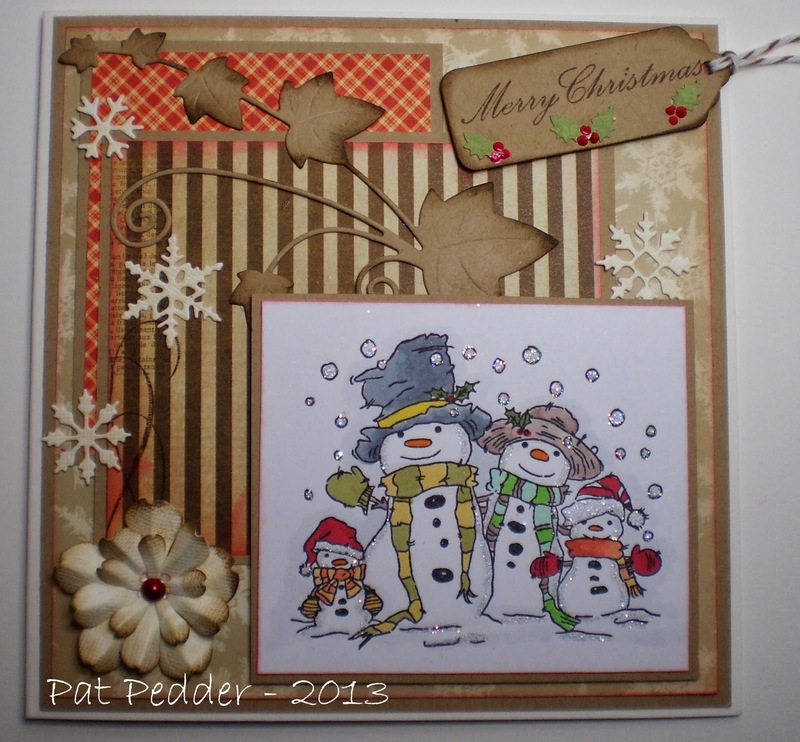 Gorgeous card Pat, love the cute snowman and fab colours & details. A stunning piece of artwork for this months challenge at FlonzCraft VSC, thanks so much for joining in. What a cute card. I love the way the image layer really pops against the muted background papers. And the bits of sparkle are just the right finishing touch! Thanks so much for sharing this week at S 'n D. We hope to see you back very soon! I love snowmen and your image is out of this world!! What a lovely image...beautiful card...thanks for playing along with us at Divas by Design! I was sure I came yesterday Pat, but I had a niggling idea I forgot to publish so popped back again to say what a great card and thank you for joining us at FlonzCraft VSC. Hi Pat. I totally love everything about this card! A gorgeous image and the glitz really makes everything pop and looks so festive. So cute. I've just bought this image too! Wonderful Winter Wishes! Thank you for playing along with the ABC Christmas Challenge.